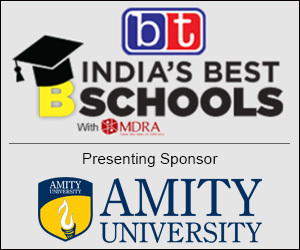 The BT-MDRA Best B-schools Survey, the No. 1 ranking of its kind in the country, has undergone a radical makeover this year. This year, we have ranked institutes based only on objective data ? data that they have submitted to us on the basis of a long and exhaustive questionnaire. We decided to do away with the perception and experiential rankings, because they introduce an element of perception and understanding based on external knowledge, which may not necessarily reflect the dynamic changes the colleges go through year after year. The objective data, on the other hand, brings to the fore the true picture of this changed reality. As such, the rankings of this year cannot be compared with last year?s rankings because the fundamental approach has changed. 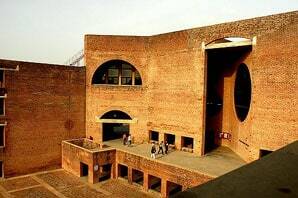 A list of over 1,800 B-Schools fulfilling above criteria with their contact details was prepared. 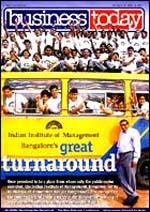 Determination of weights: Looking at the changing scenario of the MBA education in India, weights of parameters had to be modified as some new attributes and sub-parameters were introduced keeping in view new trends. Objective Survey: Based on these parameters and sub-parameters, the objective questionnaire was fine-tuned after incorporating new elements such as ? summer placement, start-ups, student diversity, etc. The B-schools (1,800+) fulfilling the eligibility criteria were contacted to participate in the survey through multiple ways ? sending formal invitation along with the objective questionnaire; putting objective questionnaire on the websites of MDRA and Business Today to increase awareness; multiple emails, telephonic calls to remind the colleges about timely participation; and regular follow-ups to clarify any doubts related to participation / questionnaire. Back-check of the objective data: After receiving the objective data from institutes, they were cross-checked meticulously through available information and validation (past data, mandatory disclosures, telephonic checks, clarifications through emails, website visits, etc.). In case of insufficient/ incorrect data submission by some institutes, they were contacted to provide complete and correct information. B-School Physical Audits (verification): To further verify authenticity of the data submitted, MDRA researchers visited 72 B-schools across the country. During last four years, MDRA?s research team has visited 300 campuses to verify data/ information provided by participating institutes. The responses on important questions in the questionnaire have been checked very carefully. The team of MDRA researchers/invigilators has corroborated the data with the original documents. The irregularities that were brought to the notice during the physical audits were removed and/or corrected in the final objective data. Assignment of Ranking: Like last year, MDRA has collected and evaluated B-schools on the basis of current year data to give stakeholders more realistic, updated and accurate information about B-schools. As mentioned earlier, the rankings have been assigned based only on the objective data provided by B-schools. Under it, marks on each sub-parameter were calculated using the revised weightages. Thus, marks for every sub parameter were arrived at and were then added to get marks for respective parameters.